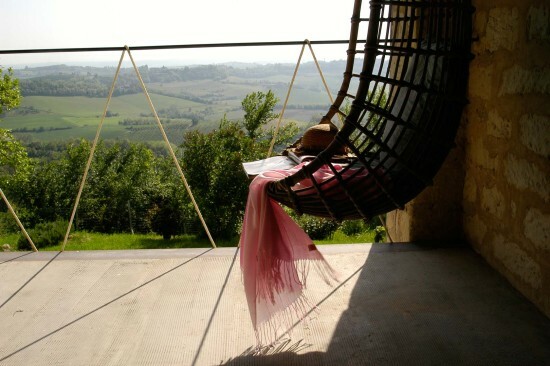 Cascina rosa b&b is an ancient typical farm in a peaceful, isolated panoramic position surrounded by countryside. 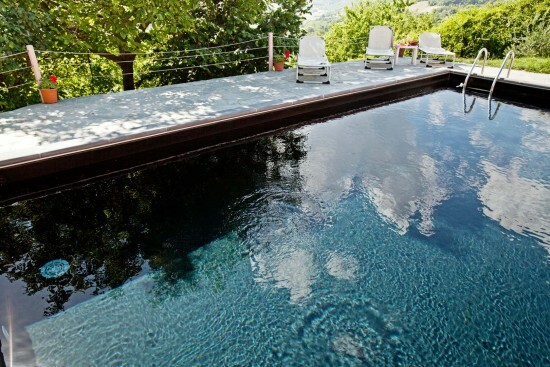 The estate stands on a hilltop and enjoys a 360° panorama in the heart of the Monferrato area. It has been restructured with full respect for historical values, offering to its guests simple rooms with a touch of creativity. Careful renovation has preserved the charm of the past. It is an ideal base for gastronomic – wine tours, and the perfect place for those who love peace and quiet, good food and family atmosphere. It is dedicated to nature-lovers who feel restricted by frenetic, neurotic demands of urban life and have decided to relax among the sounds and the silence of nature. Here it is possible to have rides and walks through the hills and explore nature : holidays of absolute rest, measured only by the rhythms of nature. A big garden with swimming-pool and barbecue is available for guests. We are not far from Turin (1h), Milan and Genoa (1.15h), Asti and Casale Monferrato (20min), Alba (40min) and Alessandria (30min).